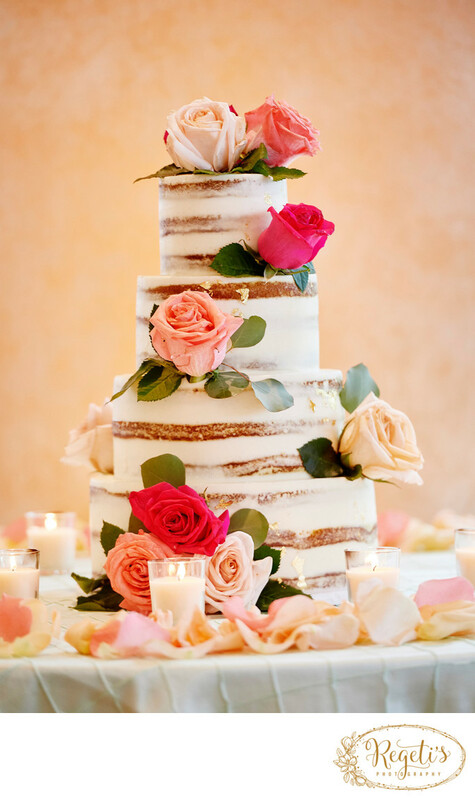 Beautiful artisan wedding cake presented to guests at Morais Vineyards & Winery. Morris Vineyards and Winery is an indoor and outdoor destination wedding venue that give a feel of Italy to any wedding day including rustic and ornate touches to add many photographic opportunities to your wedding day located in Northern Virginia. Location: Morais Vineyards and Winery, 11409 Marsh Road, Bealeton, VA 22712. Keywords: Morais Vineyards and Winery (3), Wedding Cake (27).